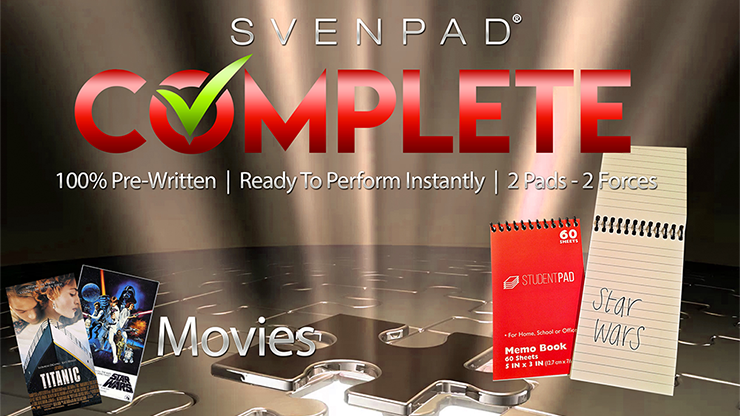 Pads that look totally innocent, yet will force the name of a movie and astound your spectator! Includes TWO of our world-famous SvenPadsÂ®, with TWO different powerful forcing movie possibilities (Titanic and Star Wars). The covers of these pads are secretly coded on the front, so the performer instantly knows which force is inside. Both pads look identical and have the same non-force movies inside. The movies chosen are ideal for powerful and fun revelations of scenes from the movies that everyone knows!